In 1992, a revolution in the hardware industry began in a small foundry in Hailey, Idaho. Robert Commons, founder of Sun Valley Bronze, was building fine homes and custom cabinetry, yet he could not find hardware of comparable quality and style. 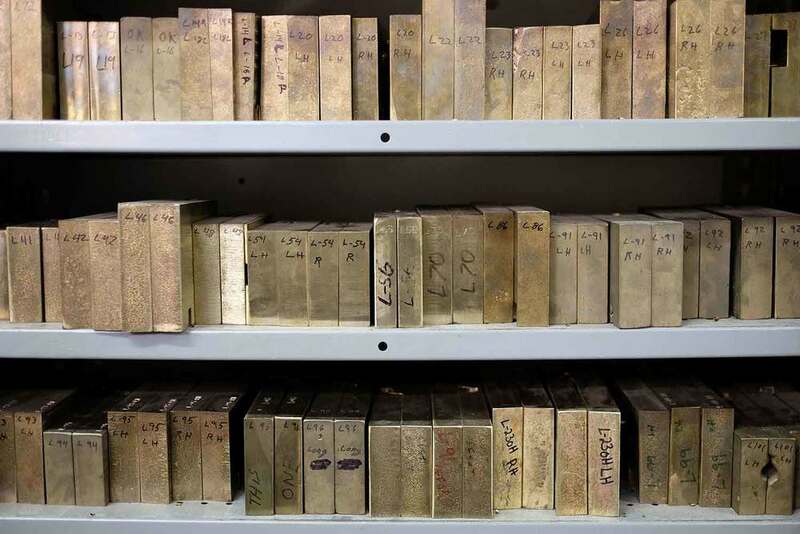 He decided he would begin casting his own and founded what has become the most extensive line of decorative bronze hardware available anywhere. Sun Valley Bronze has the future in mind both for our business and community. By manufacturing our hardware entirely in Idaho, Sun Valley Bronze provides local jobs, reduces transportation costs, and supports a strong Idaho economy. 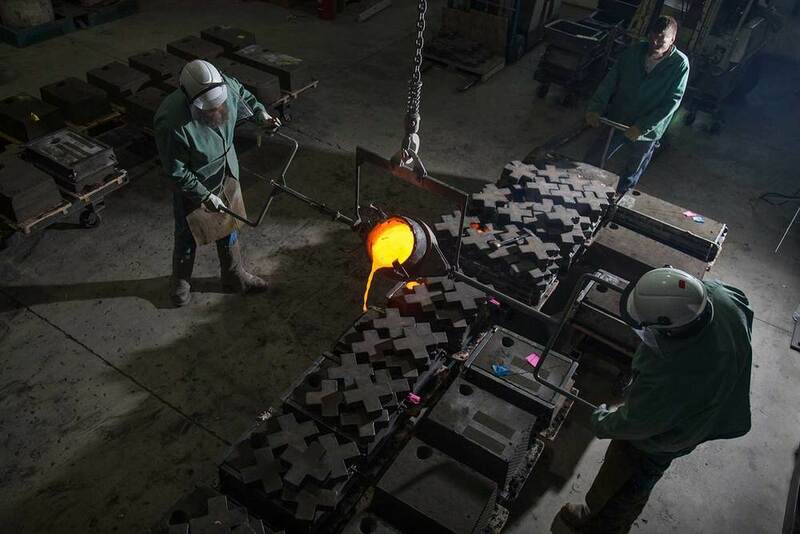 We strive to make our facilities environmentally responsible by using green sand technology in the casting process, participating in both metal scrap and office material recycling programs, and ensuring healthy working conditions for our employees. While maintaining the traditions of creating handmade products of uncompromised quality, Sun Valley Bronze strives to conduct a business with integrity. Today, Sun Valley Bronze offers the most original and complete line of hand-crafted and hand-finished solid bronze door, kitchen, bath and cabinet hardware. Created in silicon or white bronze, each piece offers the enduring grace of antiquity, yet fulfills the expectations offered by modern technology. From design concept to hand-finishing, our team at Sun Valley Bronze controls every phase of production. The understated elegance of our contemporary and traditional styles will enhance any architecture and add distinction to every project. Sun Valley Bronze hardware is manufactured by a dedicated team of designers, skilled artisans, craftsmen, machinists, and foundry technicians. 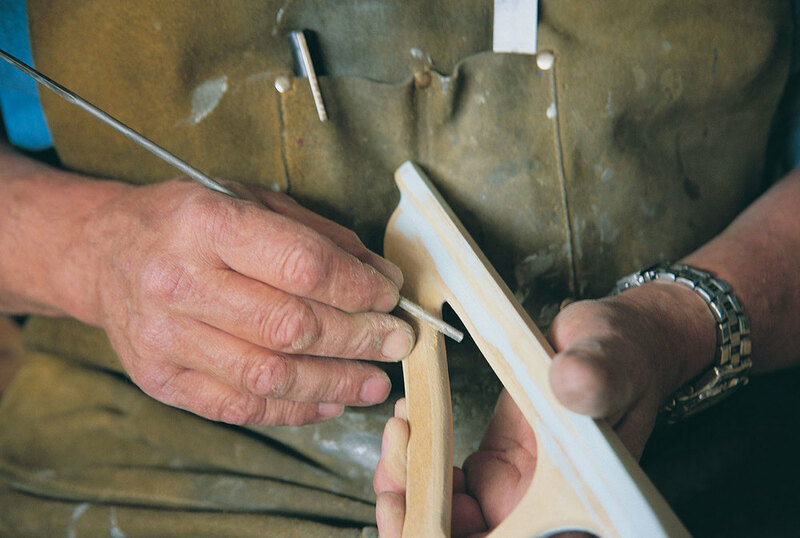 From design work and pattern making to CNC machining and casting, every step of the process is in their hands. Owner, Bob Commons, can still be found working in the machine shop. Pat has been our dedicated display builder for years. 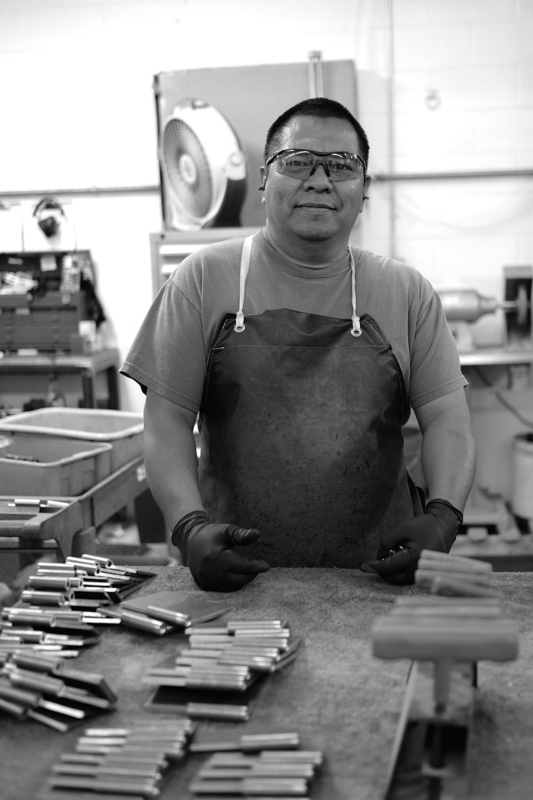 Ed has been with Sun Valley Bronze since the beginning. Marty is our head pattern maker. He is responsible for creating the beautiful handmade and custom patterns that we use to make castings. Dan H can be found checking jobs, writing orders, solving problems and traveling to tradeshows. Jose Luis works in the machine shop. Jose operates the CNC milling machines to create our patented, adjustable ball bearing hinges. 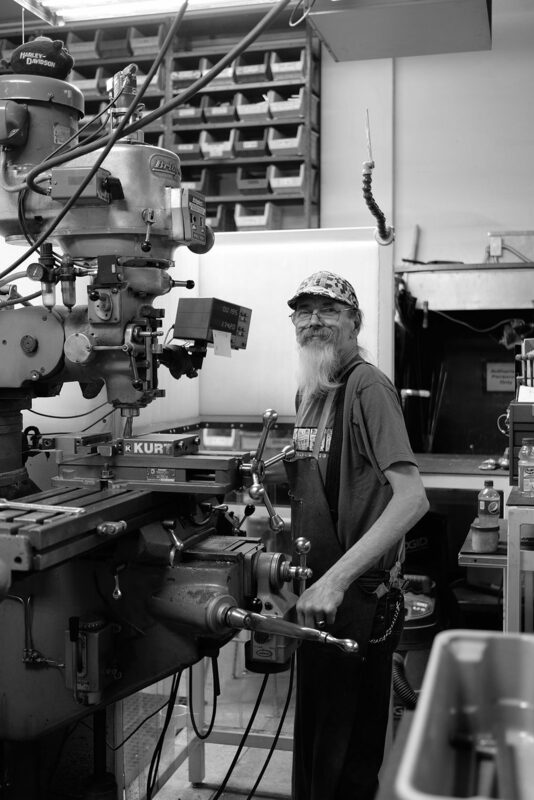 Dan W is part of our team of machinists. James is packing a job that is ready to ship. Don't hesitate to contact a staff member or Customer Service.